ALL DOWN PAYMENTS ARE PLUS TAXES, LICENSE FEE, TITLE FEE, AND PROCESSING FEE. 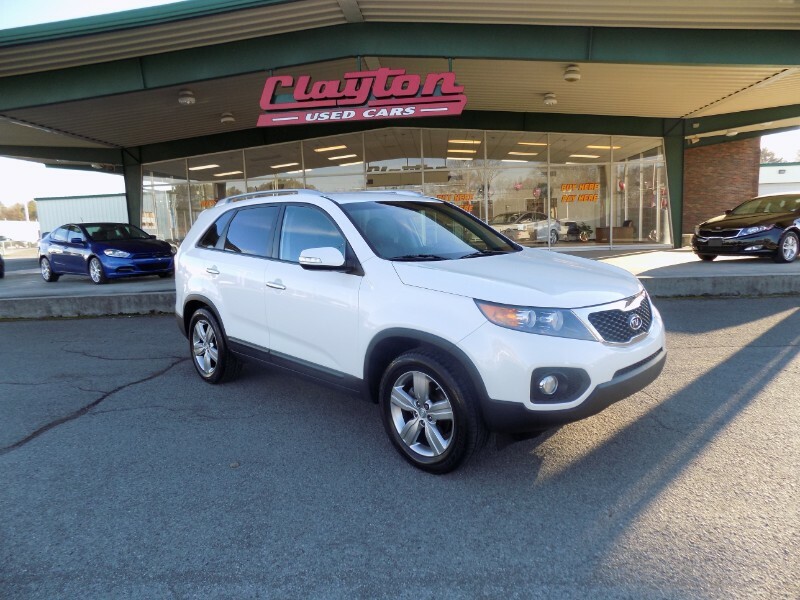 Clayton Used Cars has been caring about their customers and taking pride in their vehicles for over fifty years. We strive to help everyone find a way to get a very nice vehicle. Come let us help you. We are located on Clinton Hwy in north Knoxville. Look for the large black Clayton sign and the smiley faces on the windows. Feel free to call for more details at 865-688-5440 Mon-Fri 9am-7pm and Saturdays 9am-6pm. We thank you for your interest and look forward to helping you. Message: Thought you might be interested in this 2013 Kia Sorento.